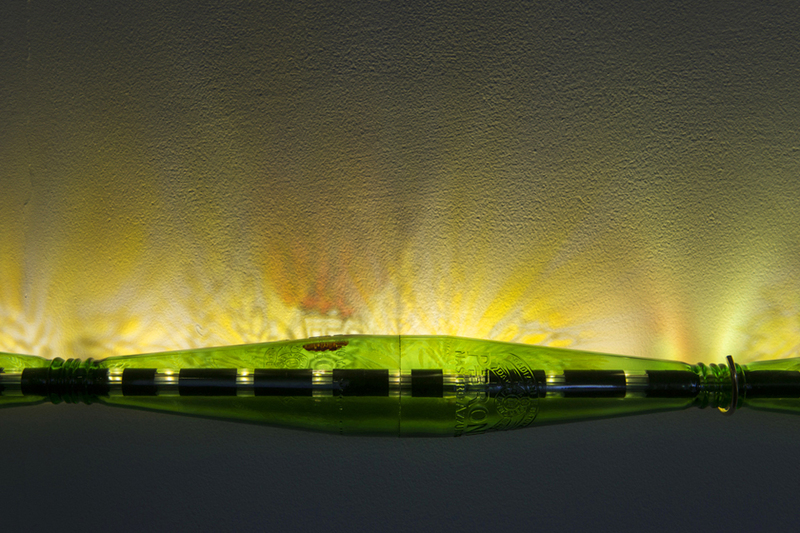 Peroni, the famous Italian beer brand, commissioned a few artworks inspired by the recently launched “Piccola” bottle. 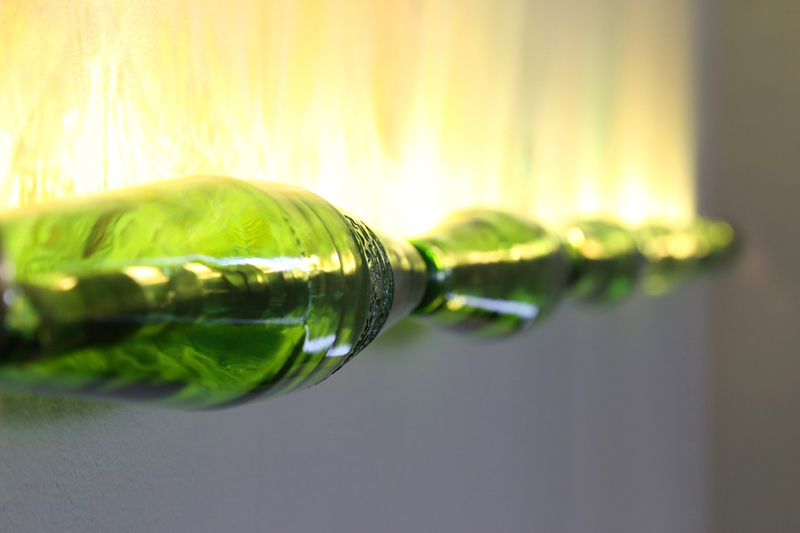 Draisci studio created COM-VES, working around the bottle shape, its glass materiality and its physical property of transmitting light, casting shadows and patterns like fresh Italian sea water. 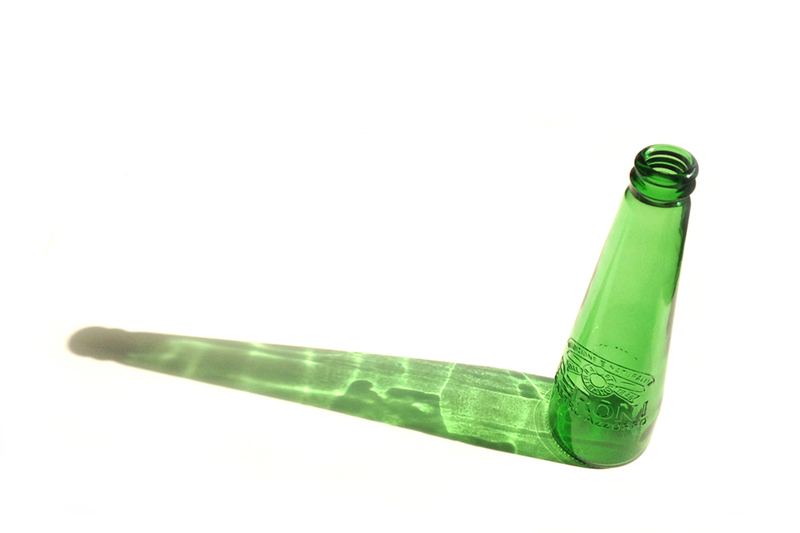 In Physics, “Communicating vessels” are containers systems that balance the level of liquid. 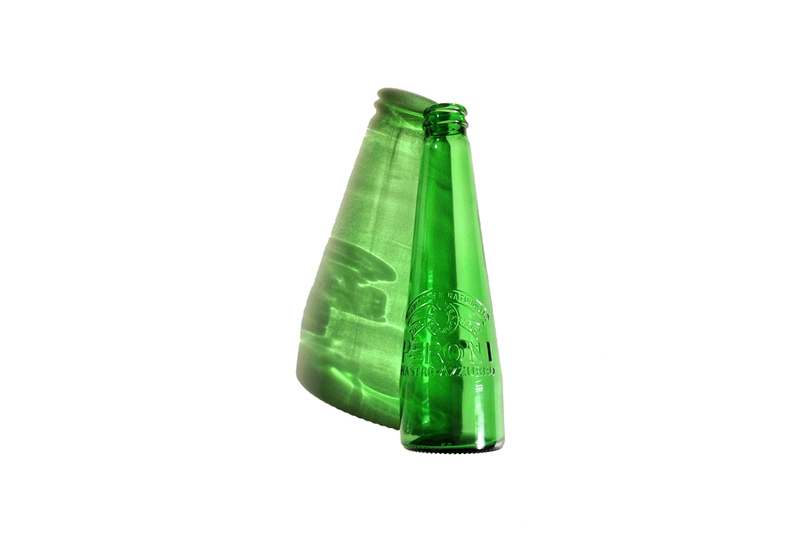 Com-Ves sounds similar to Convex, like in a spelling mistake that an Italian can make while speaking English. 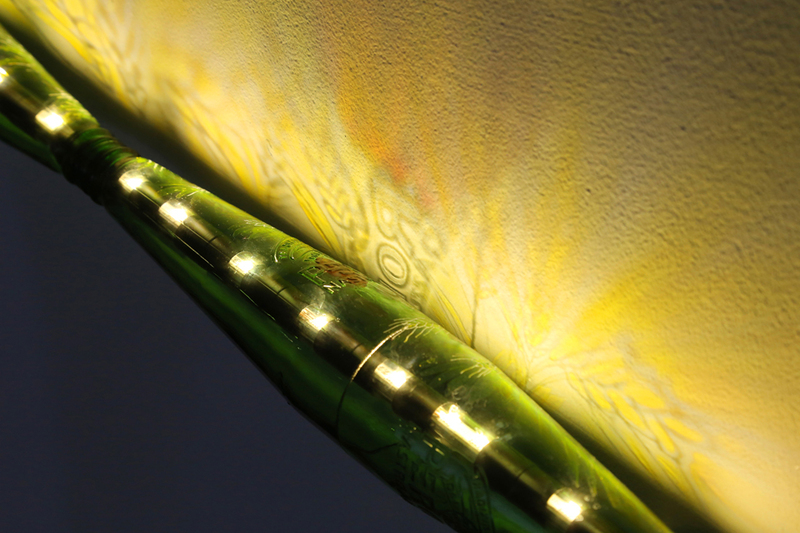 A 2m linear row of bottles has been engraved and painted by hand with Barley and Hop motifs, ingredients of the Beer and rich graphic ornaments. 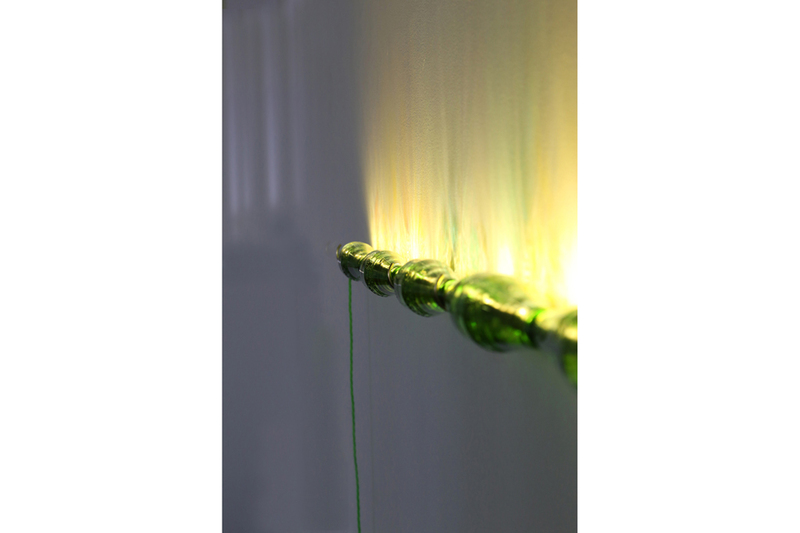 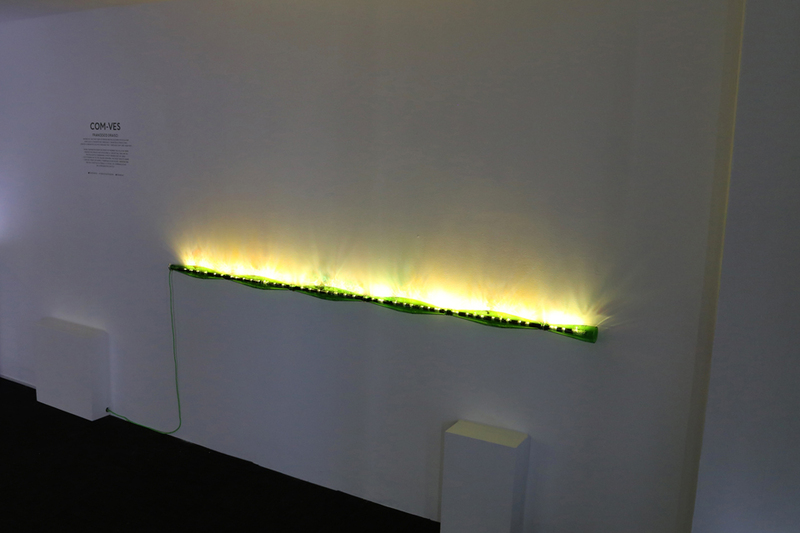 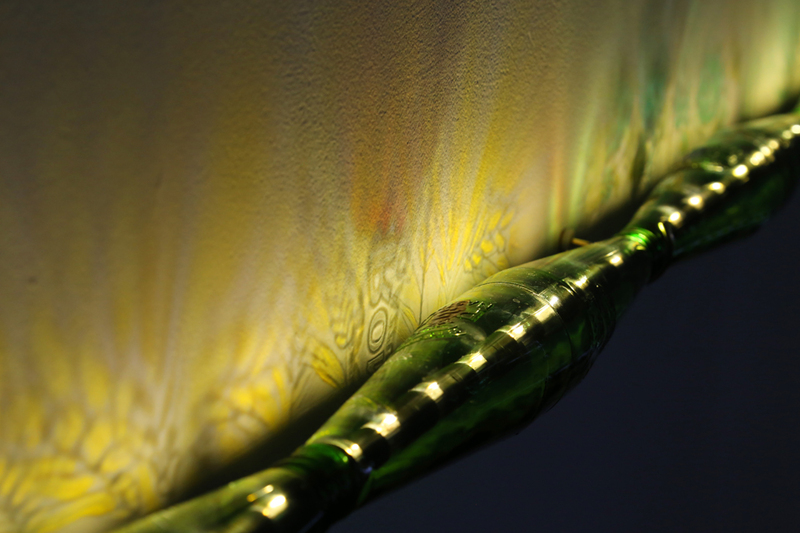 A thin LED fitting inserted through the bottles projects colourful shadows onto the wall as one linear Italian landscape painted by light. 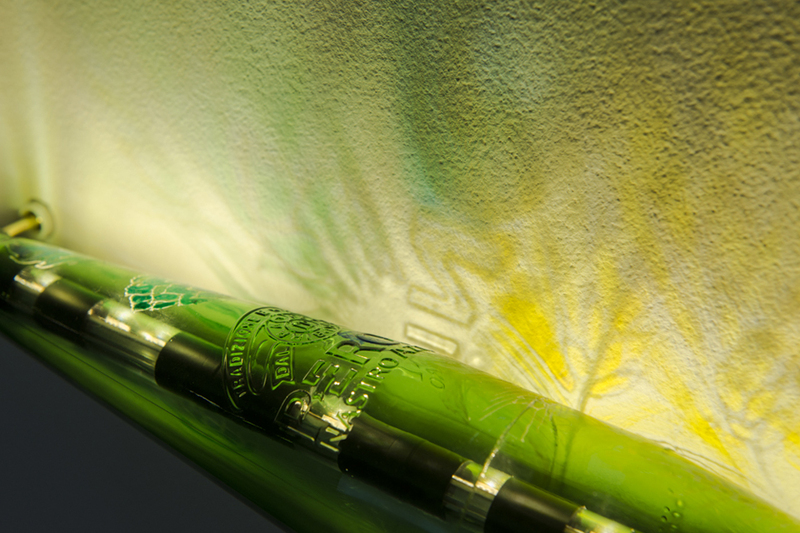 Simple magic is expressed by the play of shadows and joyful colours. 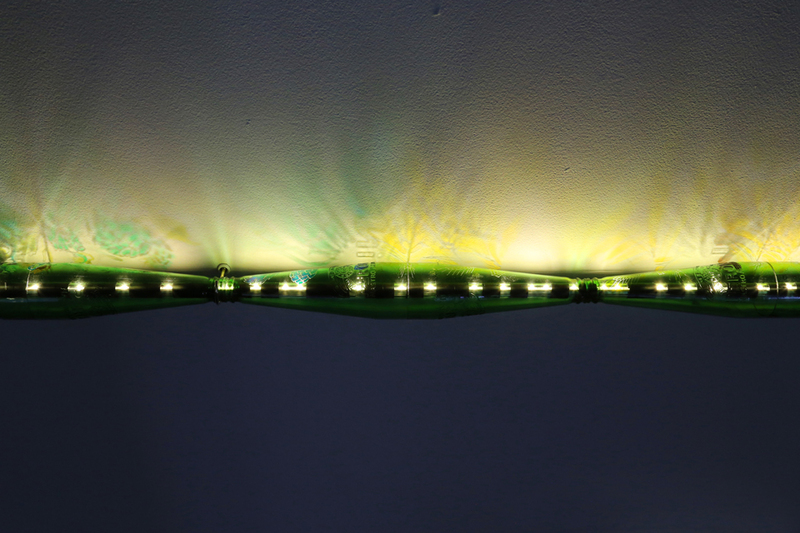 Light: courtesy of Atrium ltd.